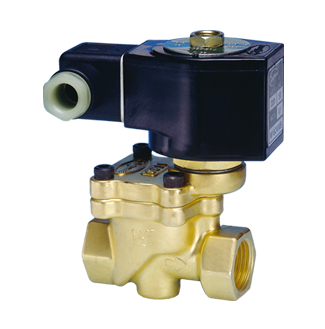 Heating with medium or high pressure steam. Please select SEAT material by selecting the TAB– you can also NARROW DOWN the list by selecting BODY or OPERATION MODE! 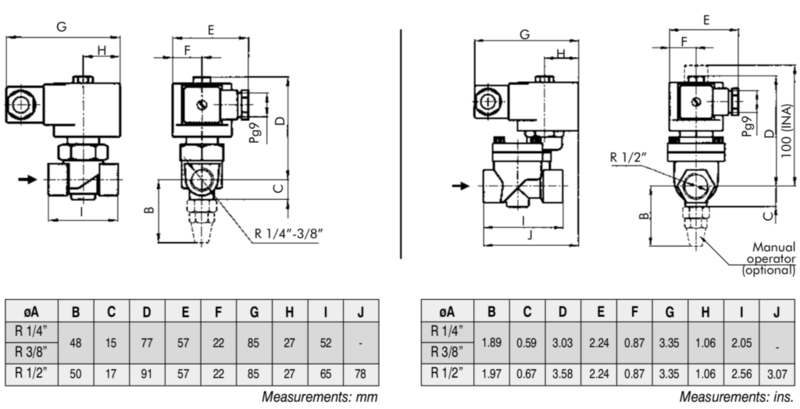 The valve inlet pressure must be higher than the outlet pressure, and in order for the valve to open and stay open the differential pressure has to be over the minimum pressure differential indicated for each model. Preferred mounting position is on a horizontal pipe with the coil up. We recommend installing a strainer of <= 100 micron upstream to the valve. Other voltages available upon request.